This article breaks down a basic heel brake stop in three key steps. For some general information on inline skate equipment, go to our equipment page. Outdoor Skaters Rules of the road: Adapted from both the ski and bicycle industries, developed from teaching inline skating during its emergence. Robichon’s Instructors have personally skated the trails or rinks listed on Robichon’s Rinks and Trails. Similar to the ski industry, we have identified the trails as easy to very difficult. In general, easy green routes are flat and reasonably smooth while more difficult routes feature inclines and corners requiring dynamic slowing/ stopping and turning proficiency. * Be aware, due to weather, trail conditions change yearly. Trail conditions may have deteriorated from the last time Robichon’s has inspected the trails. These trail condition changes effect inline skaters with greater impact than bicyclist. Always proceed with caution as a first-time user of any trail with a Robichon’s rating. 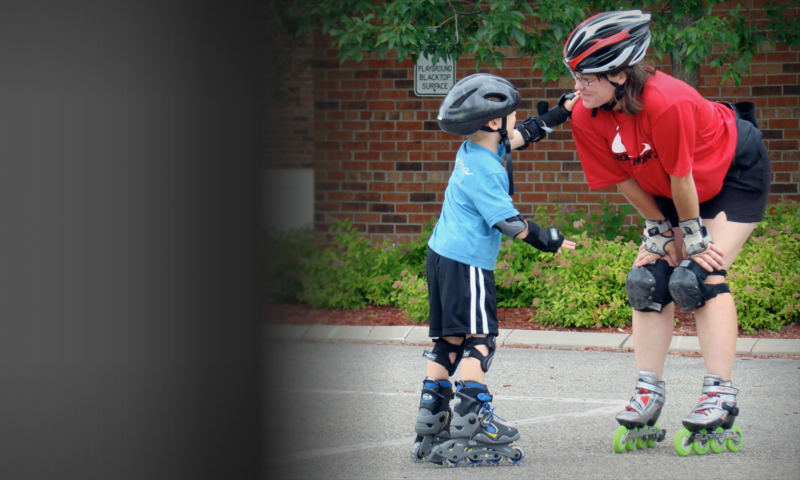 Click here for key benefits to taking an inline skate lesson.